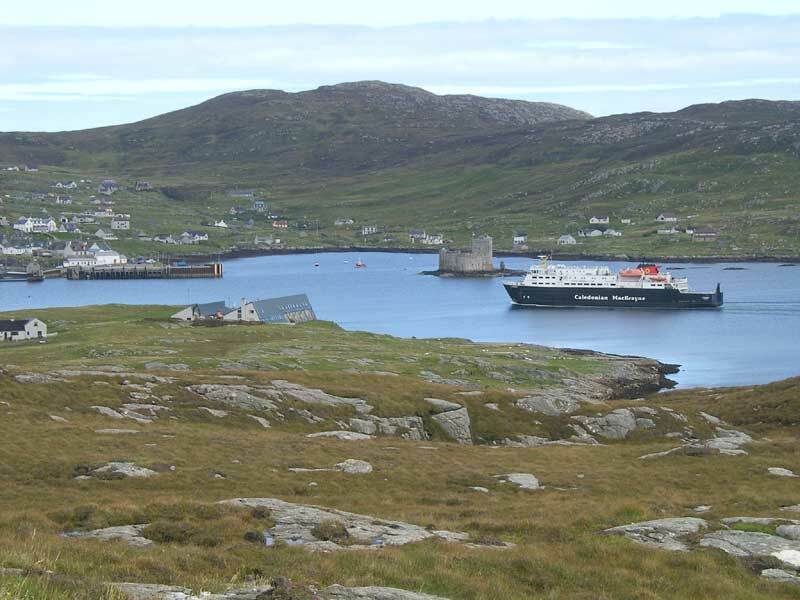 You can get to the Isle of Barra either by air or by ferry. The ferry to and from the mainland departs from Oban in Argyll, and goes to Castlebay in Barra , either directly, or via Lochboisdale in South Uist. 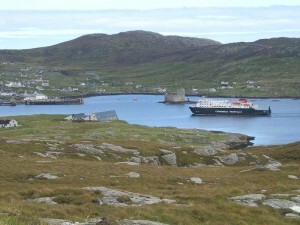 The ferry also connects with the Isle of Eriskay and South Uist. For timetable details, or to make a booking, look at www.calmac.co.uk or phone 0800 066 5400. Airports are in Stornoway, Isle of Lewis, in Benbecula, and on the Isle of Barra. Flybe, Eastern Airways and HIA all operate to and from Stornoway airport. Flybe/Loganair and HIA operate to and from Benbecula airport. HIA and Flybe/Loganair operate to and from Barra airport. The bus service through the islands is good. See further details below. All services are weather dependent, so please bear this in mind when planning your holiday. Bus services through the Western Isles run either direct to Stornoway, or offer connection to/from Stornoway. Most services run Monday to Saturday. Bus fares are inexpensive with through fares available on many connecting buses. Day Returns offer a discount and are available for all journeys which return to the same start point.